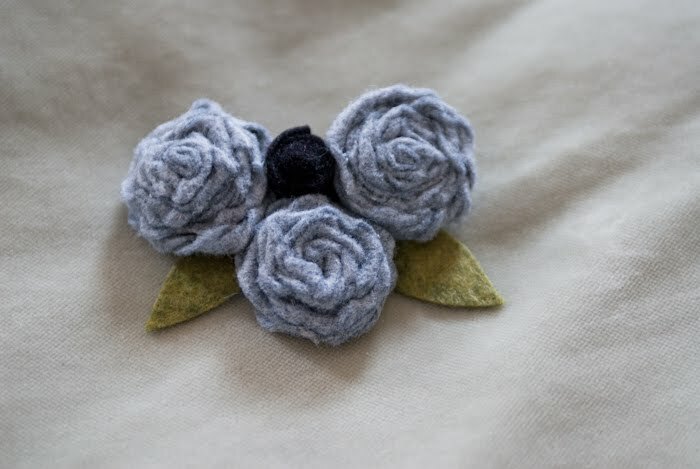 Made these felt goodies for our preschool teachers as a gift for teacher appreciation week. 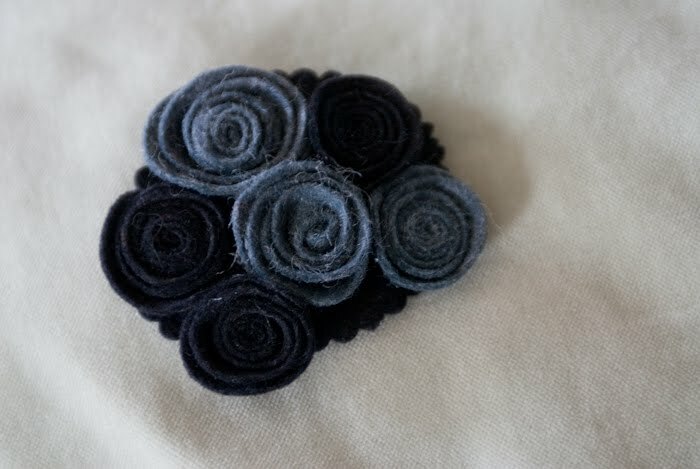 This one is a brooch to add to a coat, scarf, bag or even a nice shirt. 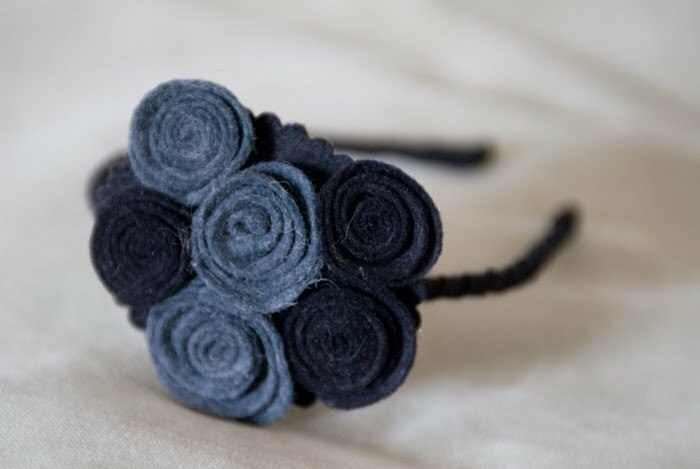 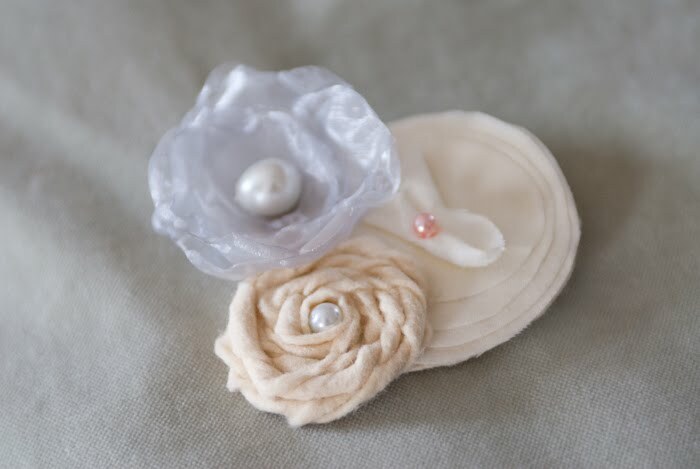 It's a combo of a hand-dyed wool felt rosette, organza flower and cotton. 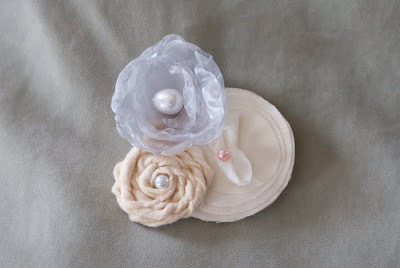 Here is another brooch. 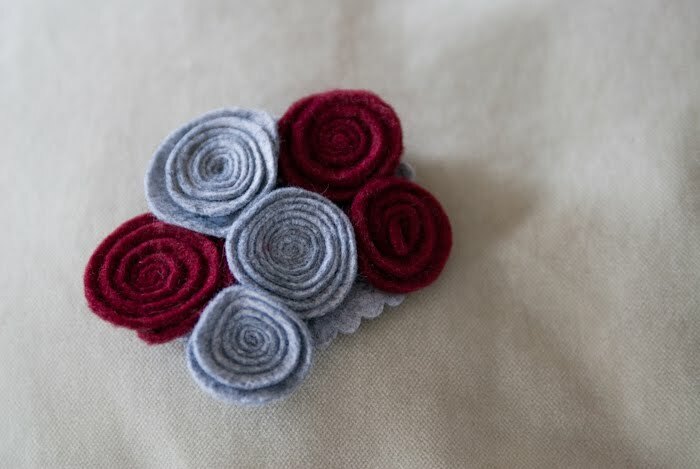 Wool felt rosettes. 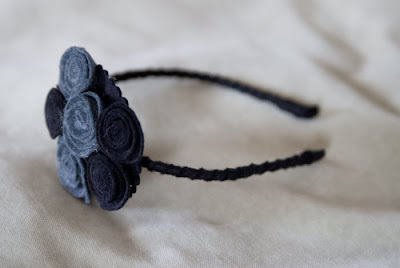 These are interchangeable wool felt pieces to add to a felt-wrapped headband. 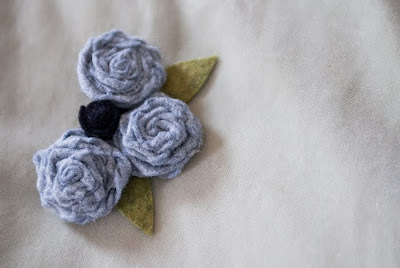 LOVE your crafty flowers Clairissa! I haven't been able to comment on your xanga blog so I'm glad you directed me to this one!